Bought it as a higher end battery that I hope will last a good while- but ask me again in 2-3 years. Battery was a good fit in the space but its connectors were a bit awkward and I used the ones from my old battery. Battery was delivered promptly but Tayna should have asked at the point of ordering if the package cd be left with a neighbour. That wd have got it to me more quickly. Had to order this to replace wrong battery sent even though I checked twice with them the other one was correct. Then had to get this battery and charged more. Not the best service or advice. Very frustrating battery it's self it great though. First class service. Fast delivery and very pleased with the battery. Highly reccommended. I will use them for any future battery purchases. The westco battery fitted the bike perfectly, in fact the terminal fittings are better than the OE item. I also found Tayna to be a very good professional company who i will use again. 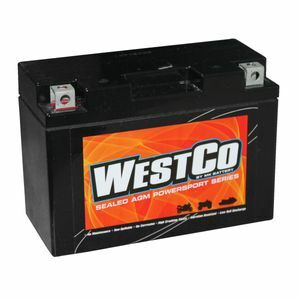 Le fournisseur numéro un des batteries Westco YT9B-BS, GT9B-4, ET9B-4, CT9B-4. 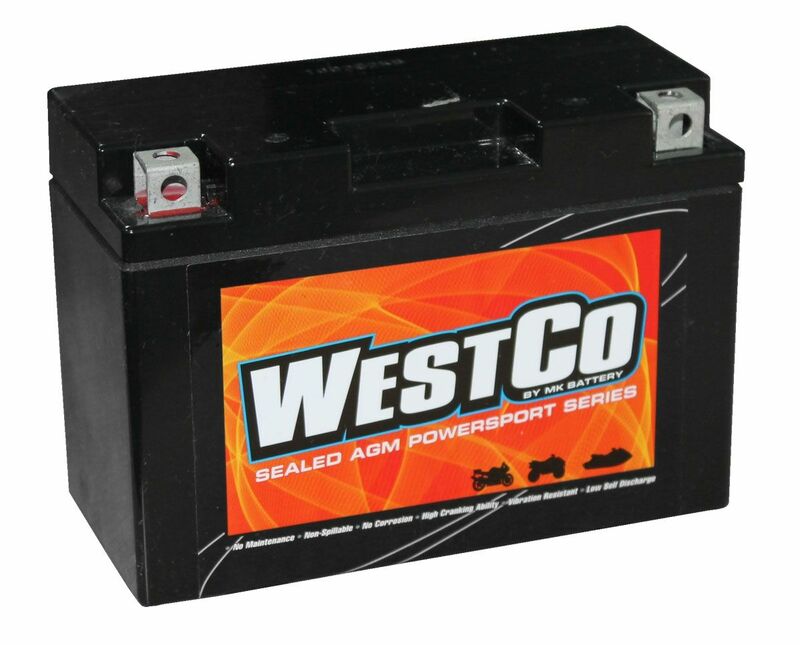 Batteries Moto Westco sont notre spécialité, alors achetez avec confiance de Tayna. Cet objet est connu sous le nom de Westco YT9B-BS, GT9B-4, ET9B-4, CT9B-4.